If you are a marketer on Instagram and targeting the Home niche, you’ve got your work cut out for you. There are currently 103,583,963 posts tagged #home. If you’re going to compete for these eyes, you need to work smart. Start off with this list of the best Home hashtags for Instagram & Twitter. They will help you to get more organic reach from a targeted audience that converts. Copy and save them so you can paste them into your Instagram posts. Then, read below to learn how to combine these Home hashtags with other types of hashtags on Instagram to maximize your marketing efforts and get conversions from your targeted audience. The first thing that needs to be considered is that #home is a broad subject. As such, it is imperative that you combine those hashtags with other types of hashtags so you can reach YOUR targeted audience. Let’s go through a few examples so you can see exactly what we mean. This has resulted in 1,300+ people sharing their images and as such acting as brand advocates for Lowes. This is a fantastic way to increase your reach and measure audience engagement. This works particularly well with verticals (but can be done with your competitor’s hashtags too). Marissa Smith is using this technique ethically. She includes the #homegoods hashtag because she uses their products in her images. As such, she opens herself up to being discovered by an audience that is passionate about their brand. If you want conversions, then using only using home hashtags won’t get you where you need. You need to combine them with hashtags for your industry so that you increase your chances of being discovered by those who are looking particularly for what you have to offer. I absolutely loved the above example from Stallone Media. As their name denotes, they are a video and media company. Why use real estate hashtags? This client of theirs, Salerno Real Estate will get more visibility for their account and their offering. 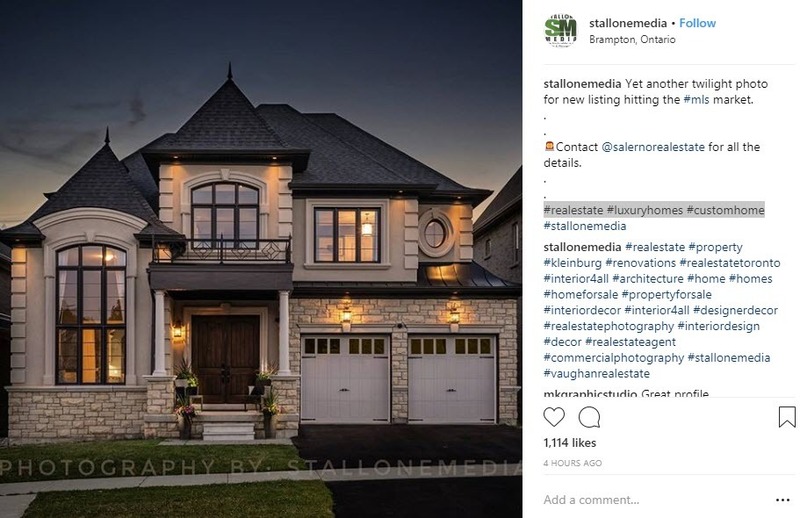 Stallone Media is using their Instagram influence to drive sales for their clients. I cannot think of a smarter use of Industry and home hashtags on Instagram. Kudos to their Instagram manager. This is a MUST if you are a local brand, service, or business. Make sure to include hashtags for your neighborhood, city, state or country so you have a chance to reach both tourists and locals looking for your business or services. 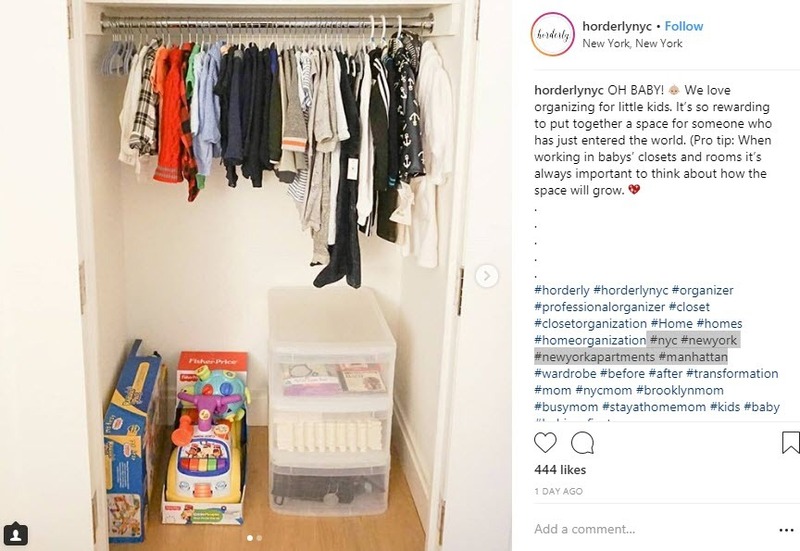 Home organization service Horderly knows the power of location hashtags. Their target audience is in NYC, so they include very specific New York hashtags (#nycmom #brooklynmom _ to reach out to that exact audience. Now that you have all those great home hashtags to use on your account, and you know how to use them to get the most reach and engagement, you need a great Instagram management tool. Socialdraft is an all-in-one Social Media Dashboard that helps you manage Instagram. It is the most robust and simple tool for agencies and teams to effectively handle social media.